The Crucible was written by American playwright Arthur Miller. It is a dramatized and partially fictionalized story of the Salem witch trials that took place in the Massachusetts Bay Colony during 1692/93. Miller wrote the play as an allegory of McCarthyism, when the US government ostracized people for being communists. Since its premiere in 1953, Miller’s chilling portrayal of the historic Salem Witch Trials has become an American stage classic as well as a terrifying metaphor for modern times. The Crucible explores the insidious dangers of paranoia, mass hysteria and prejudice, all potent issues which could be ripped from today’s headlines. 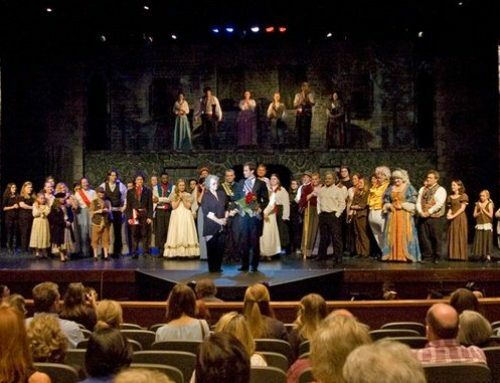 “We are proud to have such a great cast, many of whom are making their stage debuts,” added Clayton. 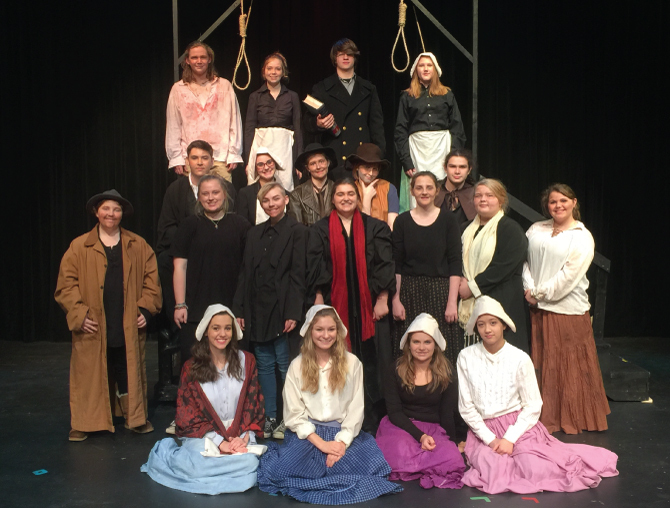 Members of the cast of The Crucible are Kaydin Wooten, Emily Wisinger, Anna Kate Youngblood, Lily Phillips, Hope Chou, Maddy Farrar, Braedon Farrar, Natalie Colvin, MaKenna Greer, Betsy Phillips, Bekah Gunter, Clayton Bolding, Emily Russell, McKenna Harrell, Nathan Gunter, Emily Williams, Lexis Murphy, Braedon Farrar, Alexandra Brummett, Carter Ogle, Josie Denson and Natalie Colvin. The production crew consists of Rebekah Dodson, Abby Denson, Alyssa Crow, and Cheyenne Barnes.